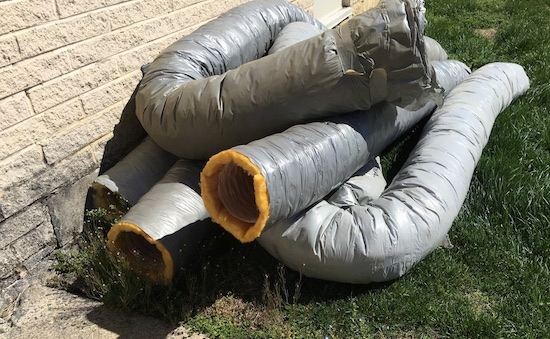 These are flex ducts. 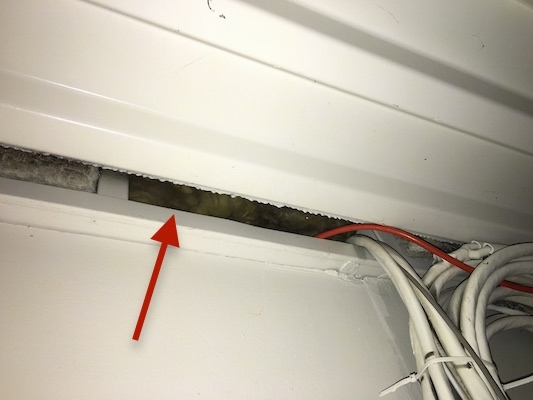 If they are installed improperly with the fiberglass on the inside not sealed off from the air flow, they will put small particles in the air over time as the fiberglass breaks down from the tempature changes and air flow. 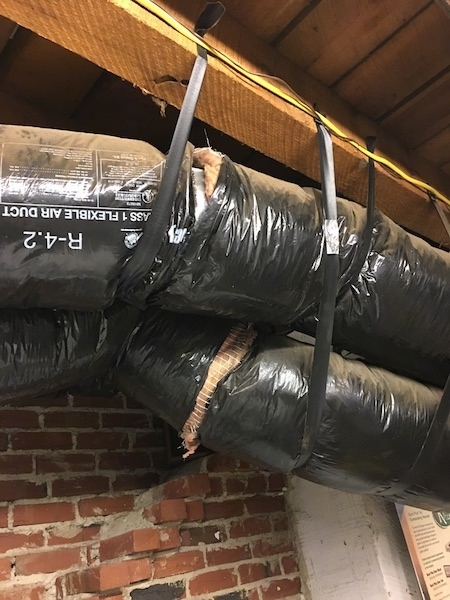 Since duct work is sometimes installed with the insulation on the inside of the duct, my thoughts are the average HVAC installer does not give any thought to not allowing the fiberglass to come in contact with the air flow. These types of ducts can also put particles in the air if they get a rip in the liner, which happens more often as the duct ages. 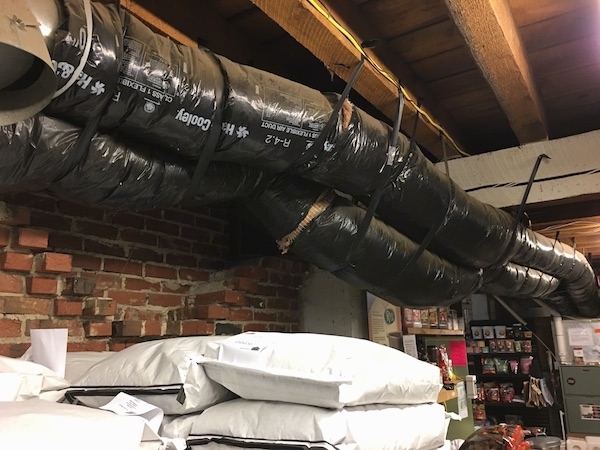 Flex ducts at a feed store that have exposed fiberglass hanging out. 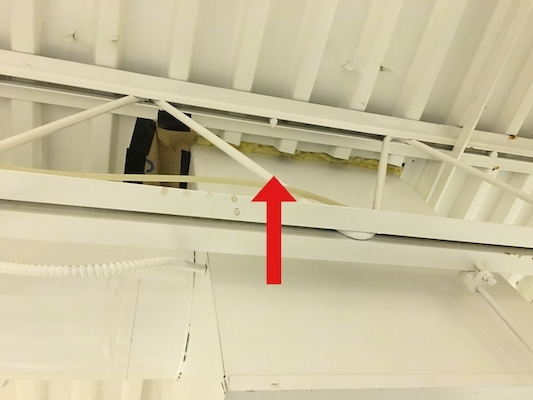 Closer view of two flex ducts at a feed store that have exposed fiberglass showing at the seams. I hear over and over again "Fiberglass is not bad for you when its tucked safely behind the walls." For arguments sake, lets say this is true and all fiberglass behind walls is in perfect dry conditions sealed tight with no air movement. What about all of the times its not? Think of all the places you have seen exposed fiberglass. Start looking around for it. Guarantee you will find it. 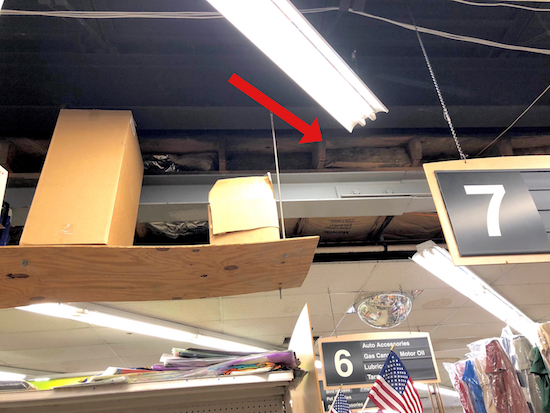 While shopping I looked up and saw exposed fiberglass along the edge of a drop ceiling in a hardware store. 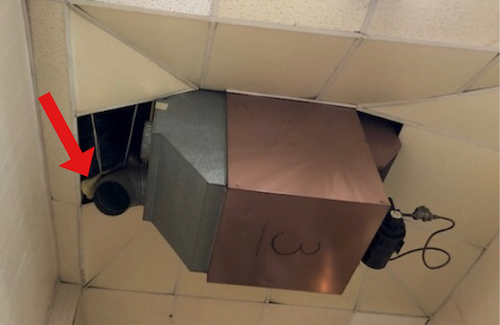 The HVAC system at a farmers market. There is exposed fiberglass next to the air current blowing on top of everyone's heads as they buy their weekly groceries. 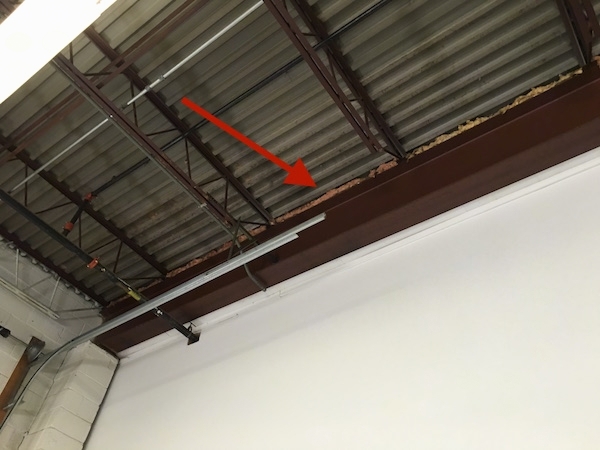 This is an industrial building where fiberglass was shoved into the hole of a beam across the ceiling. It is now breaking down and becoming airborne. This is a line of fiberglass insulation wrapped around a beam at an industrial building. 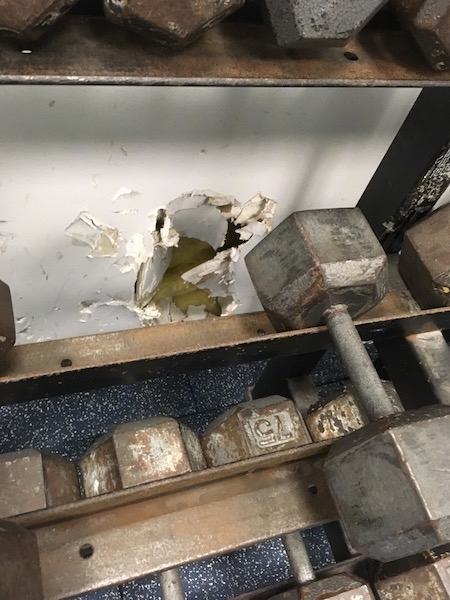 It had been there for about 15 years and at some point started becoming airborne. 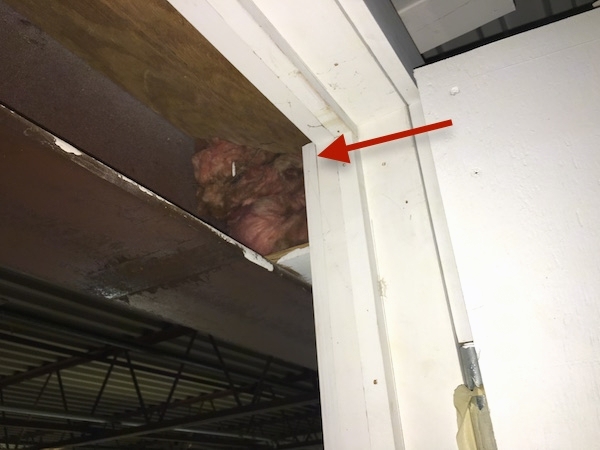 Exposed fiberglass in an industrial building packed around an HVAC system. It is breaking down and becoming airborne. 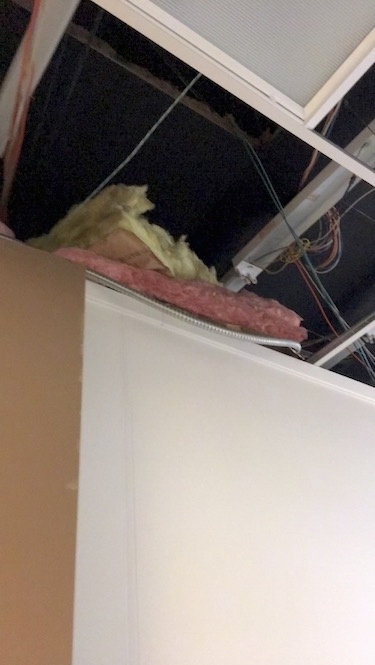 Exposed fiberglass in an industrial building in the crack of the ceiling, breaking down and getting into the air.